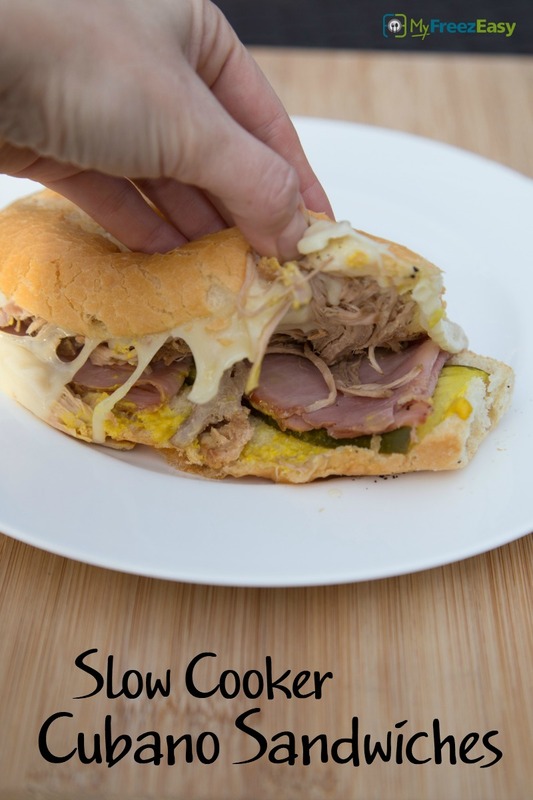 Delicious Cuban flavors held together between bread! Assemble sandwiches by adding the shredded pork, ham, Swiss cheese with mayo and mustard onto the hoagie buns with pickles. Warm in oven or press in panini press. Put baggie in the freezer and freeze up to 6 months in fridge freezer or 12 months in a deep freezer. Thaw in the fridge overnight, or a warm bowl of water for about 20 minutes, before transferring to the slow cooker and cooking on low for 8 hours. 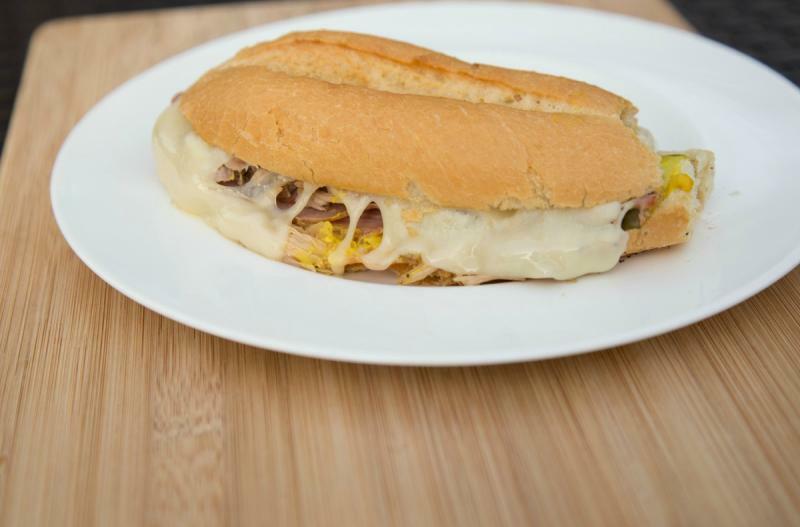 Assemble Cubano Sandwiches as directed. Omit the Swiss cheese for a dairy free meal, but know that then it’s not a true Cubano sandwich. Unfortunately, there is not a great gluten-free option for this sandwich.